Most parts of the car play an integral part in running it smoothly and safe. But tyres play an incredibly big part in road safety – they are the only part of the vehicle that actually grip the road. Driving, accelerating and braking as well as the quality of the road surface will affect and be affected by the condition of your tyres. Without maintenance and regular checks, the treads will wear down and the air pressure of your tyres will change and accidents can happen. This puts your passengers as well as yourself in danger – even more so at higher speeds. Part of being a responsible driver means performing regular checks on the tyres of your vehicle – but don’t forget your spare tyre. There are two main checks to perform on your tyres and it is recommended to do them at least once a month, although there may be times when performing an extra check wouldn’t hurt. Think about unusual changes to the car, e.g. changing the weight drastically with luggage or other items, when going on long haul journeys. Always check the tyre pressure. There are 3 important reasons why you should keep your car tyres at optimum pressure. The first reason is safety. Overinflated tyres affect handling of the car and grip on the road. Under inflated tyres can overheat and can cause dangerous blowouts, especially at high speeds. Secondly, it affects the economy of the car. Over- or under-inflated tyres decrease their lifespan and will need to be replaced more frequently. Under-inflated car tyres have an increased rolling resistance, which in turn forces your car to use more fuel. The third reason is the environment. Having the correct tyre pressure helps maintain fuel efficiency, this in turn helps your car to emit lower Co2 emissions. Ideally, this test should be done at the same time as the tyre pressure check and before the tyre has travelled two miles and gets too warm. The depth of tread left on your tyre is important for your vehicle’s safety and signals the health of a tyre. A low tread depth can increase the risk of tyre failure and contribute to aquaplaning. Especially in winter time, when the weather can be extremely hostile, a low tread depth can reduce grip and control. To check your tyre tread depth make sure you park on a wide, flat and even surface and have good access to your tyres. Don’t rely on guesswork and invest in a tread depth gauge. The legal minimum in Europe is 1.6 mm deep in a continuous band around the central 75% of the tread width and around the whole tyre. If this is not the case, your tyres will not be as effective and are illegal. You could risk a of up to £2,500 and three penalty points for each illegal tyre. Your tyres dictate how well your car stays and handles on the road and tyres that are in poor health will not give you the safety you need. To ensure you remain as safe as possible on the roads, check your tyres regularly. As mentioned above, tyres that have the wrong pressure and low tyre tread affect the fuel consumption of your vehicle. Avoiding harsh braking and sudden acceleration whenever possible will also help to improve tyre life and prevent unfortunate incidents from taking place. Healthy tyres can save you money by using less fuel for your journey and help the environment by emitting lower Co2 emissions than necessary. 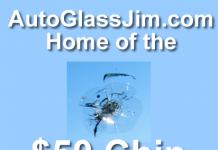 Our auto glass replacement in SLC UT has some really strict safety standards. I definitely think it’s for the best, but it can be a hassle sometimes. Be careful filling your tyres at the local supermarket – the devices are known to be inaccurate. Better get the aid of your local tyre merchant – most are helpful. Or buy a tyre pressure gauge that is known to be accurate.